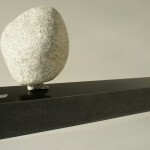 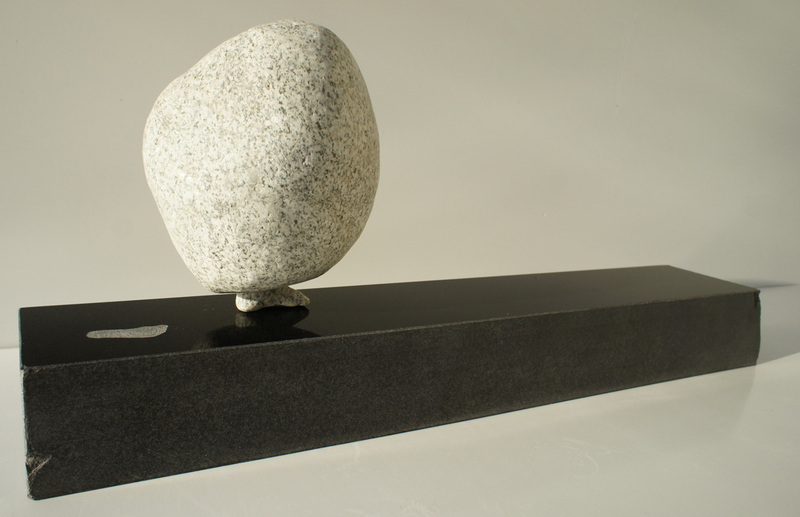 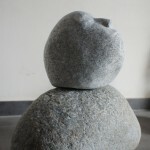 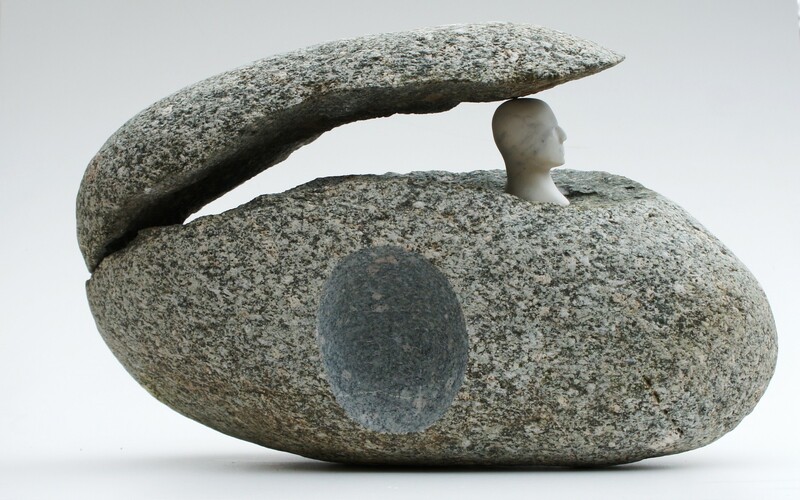 I use the series of works with river granite stones as play with frozen theatrical scenery. 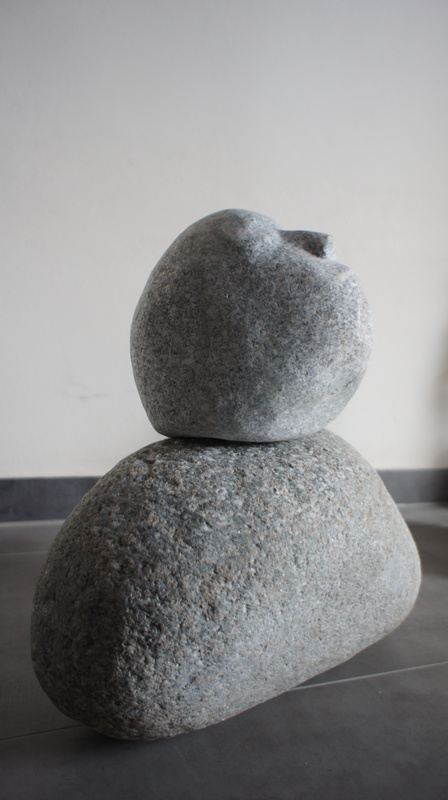 By gentle interventions, I reform them to enchanted humans and further play with them, combine them with each other to form situations similar to theatrical tragedy. 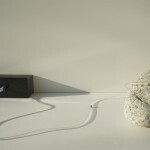 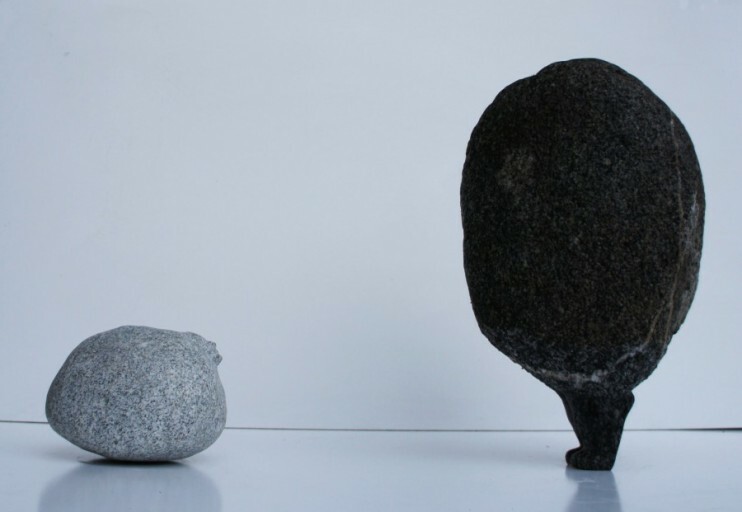 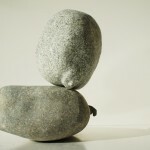 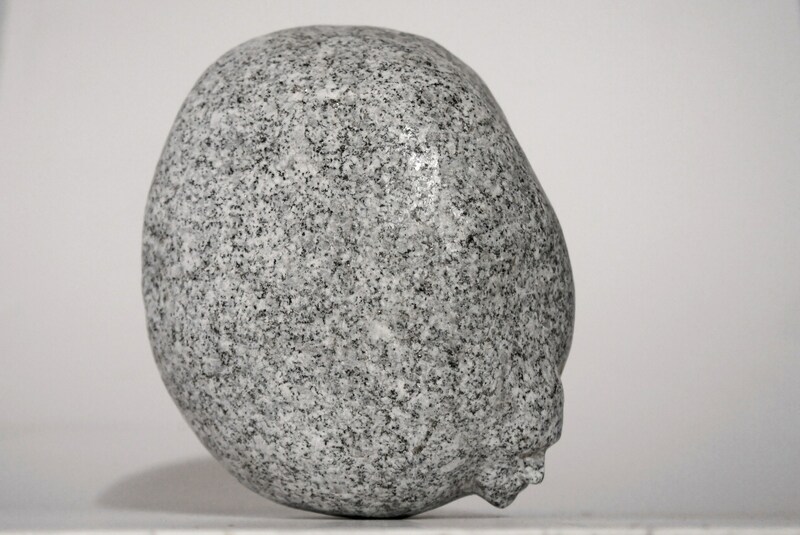 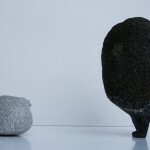 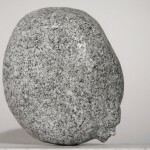 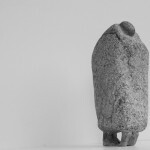 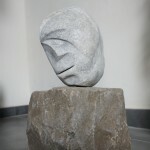 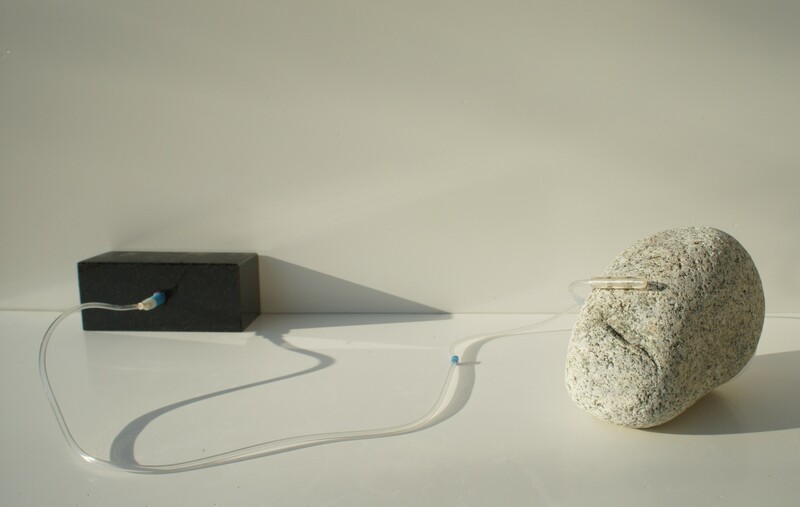 Stones communicate via gestures and masks, by projections of legs, arms and faces. 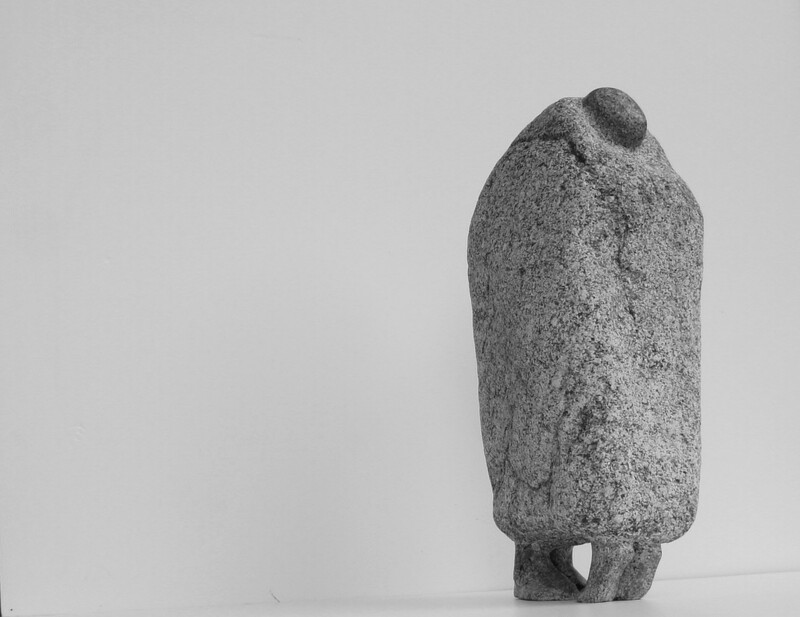 The body is cursed, insignificant mass. 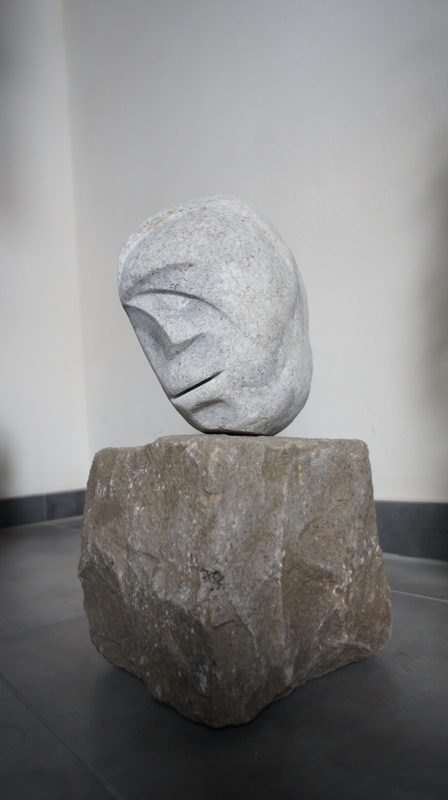 Faces and extremities let us know about their frame of mind. 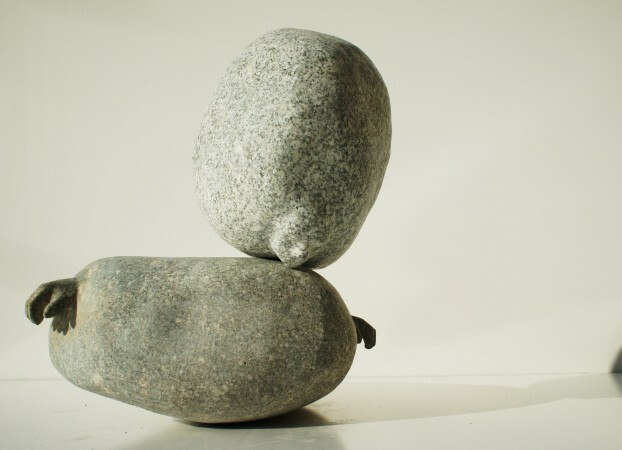 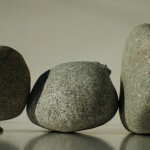 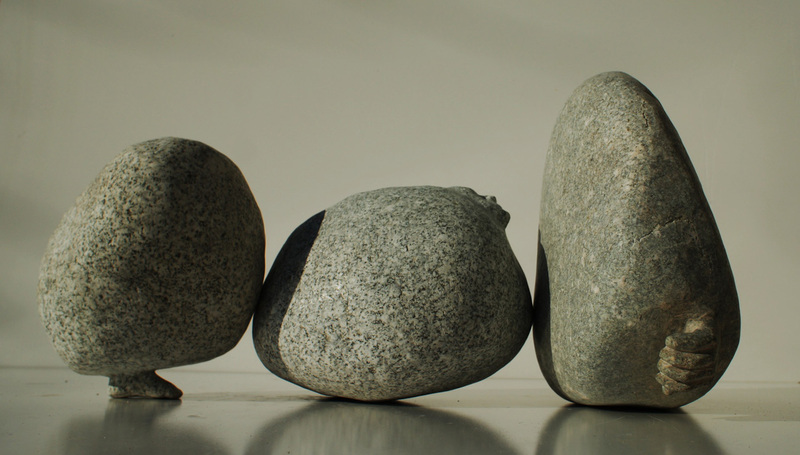 When moving, rotating and combining the stones suggest more. 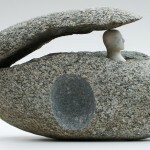 The change of position changes the whole inner situation.